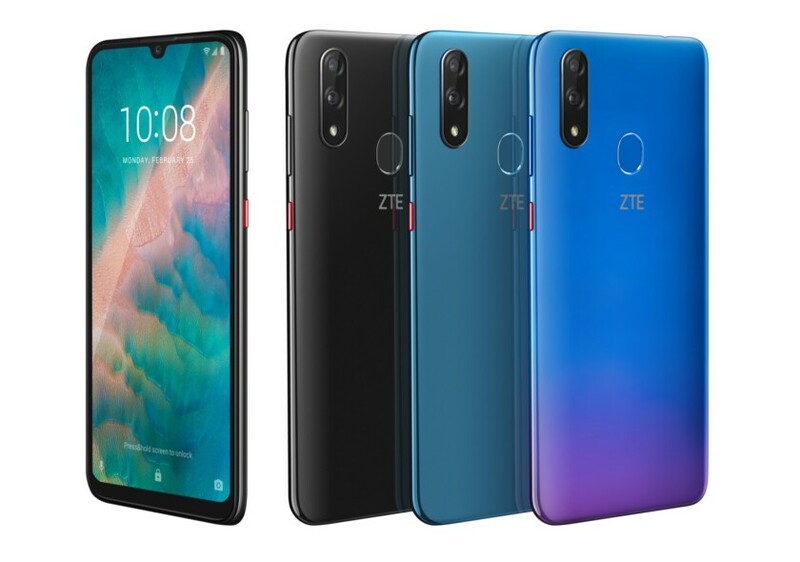 ZTE has revealed the Blade V10 smartphone at MWC 2019. The new handset will be released next month in black, green, and a tone-shifting blue with dual rear cameras, and an impressive-sounding front camera. This 32MP selfie camera is Blade V10’s standout feature, arriving with Smart Selfie and Scene Recognition. We’ve seen these AI-based functions on other smartphones — they allow the camera can make automatic image adjustments to improve image quality in various scenarios — but the 32MP front camera itself is rather fresh. This should help the V10 produce more detailed images than the majority of other smartphones right now, almost all of which feature less than 32MP front cameras. However, Vivo has taken the wind out of ZTE’s sails with the recent V15 Pro, which has a 32MP front camera that also pops out of the device, although it didn’t review well. It might cost less than the ~$400 Vivo handset, though prices are still to be announced, so the ZTE will be hoping to get the upper hand there. The Blade V10 also comes with a 6.3-inch, Full-HD+ display, 3GB or 4GB of RAM, and an octa-core chipset. ZTE hasn’t specified the chipset brand or model yet, but I wouldn’t expect a Snapdragon 855 or equivalent, here. Check out the rest of the specs in the table below. The V10 looks like a nicely-designed device, with a large display area, subtle notch, and a (seemingly) high-quality front camera; a few months back, it might have looked like a very attractive prospect. In light of recent developments, though — like hole-punch notches, folding phones, and launch of the aforementioned Vivo 15 Pro — there doesn’t seem to be that much that’s particularly special, so success might come down to offering an attractive price and software touches. Otherwise, I fear it will be swept away by flashy devices that show greater ingenuity, but it is still good to see the ZTE brand make a return after its business was almost decapitated. ZTE says it will release the Blade V10 in China, Europe, and Latin America beginning March 2019 and we’ll have more coverage on it nearer the time. In the meantime, check out what else is happening at MWC 2019 in our dedicated article.